Trusts are an estate planning tool we often use for asset protection, for providing a plan for the management of your assets upon your disability, and to help our clients’ families avoid the Maryland probate process. We offer various types of trusts, and each has its unique uses and benefits. Our estate planning attorneys can help you decide if a trust is right for your family and handle the paperwork to create it as a part of your comprehensive estate planning process. Many people worry their family could lose their home and life savings if they must move into a nursing home or require other around-the-clock care. This is where trusts can offer many families peace of mind. At Chesapeake Wills and Trusts, our team will explain your options and put the strategy in place that is right for your needs. Call us today at 410-590-1900 or use our contact form. In many cases, you may serve in all three of these, rolls, the grantor, the trustee, and the beneficiary. When establishing a trust, you also have the power to name a successor trustee to manage your assets if you are no longer able, due to either death or disability. When it comes to estate planning, there are two types of trusts. The first type of trust is a testamentary trust. A testamentary trust is created after your death and your will goes through probate. This trust disburses your estate to your heirs according to the provisions in your Last Will And Testament. Testamentary trusts are often used as a way to hold assets for minor beneficiaries until they reach the age when they can properly manage the assets. The other type of trust is the one created during your lifetime, which is commonly referred to as a “living trust”. You can choose to create these living trusts on your own and fund them while you are still alive and/or through life insurance or other assets at the time of your death. They offer various benefits and can even eliminate the need for your assets to pass through probate. Living trusts are a powerful tool which allow you to create your own rules for how your assets will be managed during your lifetime, plus provide how your assets are to be distributed after your death. 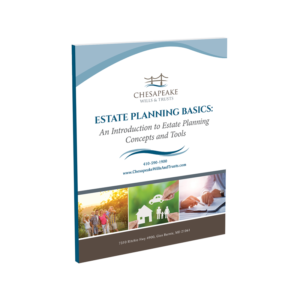 Trusts are a versatile estate planning tool. They allow us to protect assets, determine where your money goes, and even help your family members get access to your money during any period of disability and streamline the distribution of your assets after your death. The laws surrounding trusts and asset protection are complex, and many attorneys who do not work with them regularly do not understand them fully. The best way to know if a trust might be a good option for you and your family is to sit down with an estate planning lawyer who can listen to your needs and explain your options for creating a comprehensive plan to safeguard your estate and your family’s financial future. In general, trusts are very flexible making them a good tool for almost every family. However, understanding which type of trust you need, and the specific details of its setup, is paramount in ensuring it serves its purpose. Each type of trust has advantages and disadvantages, and we want to ensure you understand them fully before we set one up for you. At Chesapeake Wills and Trusts, our estate planning team is standing by to help you protect your family’s home and life savings. Like you, we want to ensure everything you worked for goes to the heirs you selected, not to probate fees, nursing home placement, and other various expenses. One way we can make this happen — and accomplish a number of other feats — is by placing your assets in a trust. We know your family’s situation is unique, and there is no one-size-fits-all answer to estate planning. However, there is likely a trust that meets your needs. We can help you understand your options and create your trust. Call us today at 410-590-1900 or use our online contact form to schedule an appointment with a member of our team.